In the 1830s when members of the Hudson's Bay Company founded what became the precursor to the Boise, Idaho of today, it's likely they had no idea that it would become the city that it has. Instead, laying eyes on the lush, green landscape after traveling over countless miles of high desert real estate they must have felt only relief at the sight of this Northwest oasis. It's the same relief that weary travelers from the four corners of the United States and city residents alike must feel as they roll down the freeway and enter the city limits and head on into its suburbs. For them, the run into the fray ceases with the view of the City of Boise in their front windshield. Parking in front of their own personal patch of Boise, Idaho real estate -- whether it be hotel or home, they pull suitcases out of the trunk or drag their briefcase and the laptop inside it from the passenger seat. 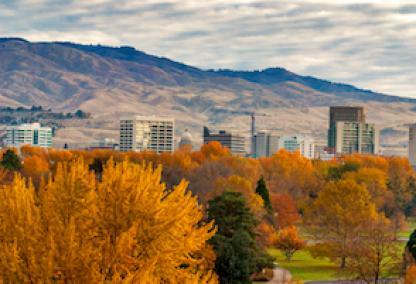 But Boise counts as more than just a place to rest a traveler's weary head for the night. The City of Trees and its precursor has been a place that thousands of people have called home since its inception 150 years ago. There is little mystery about why. The third largest city in the Northwest boasts excellent schools, a thriving tech industry, an array of outdoor activities to please any outdoor enthusiast no matter what the season and an eclectic arts scene, where both the Bard and the most unusual modern art installations can find an audience. These elements along with the numerous Boise homes for sale during any given month make this an ideal landing place with plenty of amenities for singles and families alike. Outdoor enthusiasts love Boise, Idaho; the city's 25 miles of greenbelt caters to walkers, joggers and cyclists. These lifetime sports enthusiasts meander along, parallel for the most part with the Boise River as they make their way down what residents also call the "bike path." It cuts a blue-green ribbon through Boise and is largely responsible for why this Northwest city has earned the nickname "the City of Trees." 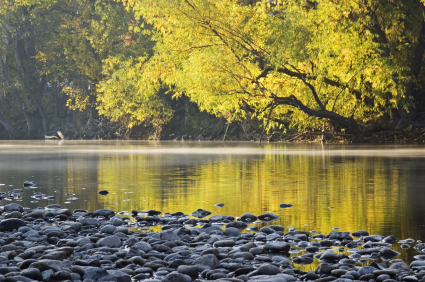 From the French "les Bois," meaning "wooded," the fresh water of the river makes its banks and beyond a fertile plain on which abundant trees, tall grasses and vibrant wildflowers bloom. In the summer months visitors to its shores play fetch with their dogs while digging their toes in the sanded banks. Summer revelers float by on inner tubes and rafts filled with coolers stuffed with cans of coke and apples to snack on. Along the way, they bump against low-hanging branches, jump out of their tubes occasionally to swim and pass by some of the most interesting Boise homes, situated right at water's edge. While their adventures typically drop these summer water travelers off downtown in the Julia Davis Park area, they start their float at Barber Park, which is located near some pretty important Boise, Idaho subdivisions. Both Harris Ranch and Columbia Village both call this neck of the woods home as does Micron and the outlet mall. The combination of having one of Idaho's largest and most important employers as well as quick access to shopping make this area of the city attractive to many. These newer developments, particularly Harris Ranch appeal to the person looking for Boise homes for sale, because they exist in neighborhoods in which people live where they live. Residents living in these environments enjoy short commutes to work and a host of amenities such as fishing, hiking, a night at Shakespeare under the stars or a slice of pizza washed down with a cold glass of beer at the Lucky 13. 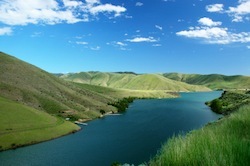 Other places in Boise, Idaho aren't as self-contained, but still put the Treasure Valley right at the doorstep. Boise homes for sale closer to Cole Road and the Freeway give their residents quick access to the best of Boise, Meridian and Eagle, usually inside of 15 minutes. Aside from positioning residents near entertainment entities such as the Edwards 22-Plex in Boise and the Majestic Theater in Meridian, this area allows residents to shop at big box stores like Costco or Walmart, look for items for home improvement at Lowe's or catch the freeway to participate in Live After Five. The Boiseans from the outskirts mingle with those who have decided to fully embrace city living by buying one of the downtown condos. These sky rise dwellers enjoy a bird's eye view of the city below from their balconies high above the pedestrian zone of the Grove. They gage the vibe of the activities below before heading out to have a bite of lunch at Bitter Creek Ale House or taking a jog through the streets of downtown Boise. And downtown is a treat. It's a place that once a person arrives in its midst, it feels like the kind of hometown that Norman Rockwell would have painted. Important city-wide events such as the Twilight Criterium bike race and the Idaho Women's Fitness Celebration take place on downtown Boise, Idaho. On city sidewalks, people visit with long-time friends over a glass of wine at the Grape Escape or share stories over a plate of Chinese food at Yen Ching. At the Saturday Farmer's Market, organic food growers sound like auctioneers as they peddle their wares to passersby. It's a game that neither really wins and nor is that the point. Instead, each party enjoys the camaraderie that comes from supporting their neighbors' efforts as well as the appearance of the summer sun, which emerges from behind the mountains that surround the City of Trees. Walking a little further up the street beyond the market and heading toward Capitol Boulevard rewards the street-bound adventurer with views of one of the most visually stunning and lush pieces of Boise, Idaho real estate. 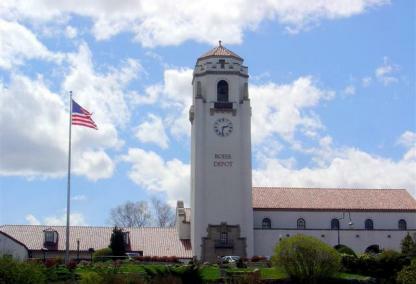 During its heyday, the historic Boise Train Depot welcomed passengers to the City of Trees, offering them a landing place for weary, travel-worn feet and slightly battered suitcases and steamer trunks. Even today, it's like a beacon of hope above the city's downtown area, and it counts as a popular place for people to have senior portraits done as well as fish watchers, who love to see the koi fish playing in the ponds on its grounds. The downtown area includes not only downtown proper, but in spirit, the North End. In spite of being the third largest city in the Northwest, plenty of people find the city to be safely accessible by bike, and the savviest city residents actually don bike helmets during the warmer months, lace up their riding sneakers and embark upon a two-wheel commute to work. Because the City of Trees boasts such interesting neighborhood development, these warm weather riders often experience views of prime Boise, Idaho real estate up close and in a way that driving a car to work each day cannot provide. People and environment are not separate here, and the city draws people in from all over. 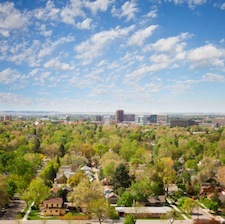 As a National Geographic article about Boise, Idaho rightly pointed out, people flock to the City of Trees because of its location at the foot of the Rocky Mountains, its proximity to the Boise, Payette and Snake Rivers and its easy access to coffee shops, world class restaurants, shopping and a place to call home when the day is done. And although the city's landscape has changed much in the last 150 years since Boise's founding, people still flock here to buy Boise, Idaho homes for the same reason they always have. Living in a piece of Boise, Idaho real estate is a relief for the weary body and the city is an elixir for the soul. 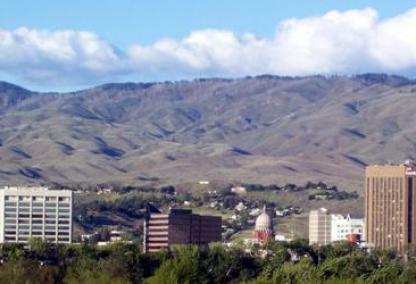 Boise, Idaho is located in Ada County, Idaho. Ada County is comprised of Boise, Meridian, Eagle, Kuna, and Star Idaho. To learn more about what these areas have to offer, please visit the links below. If you would like more information or have questions, please don't hesitate to contact me.